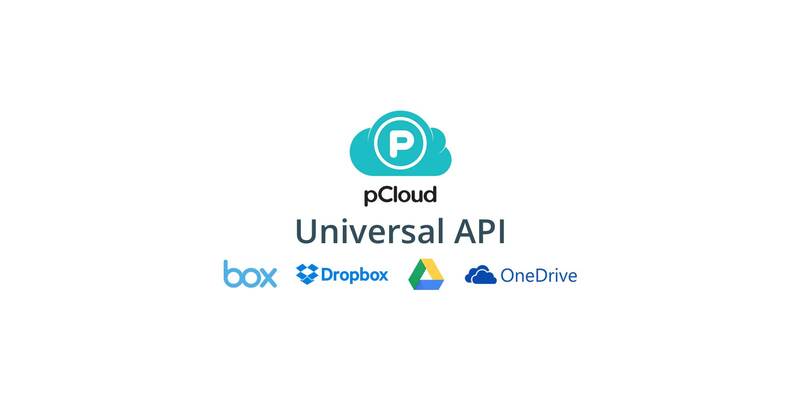 Today we’re happy to announce a partnership with pCloud and that the pCloud API joins our Universal Cloud Storage API. Now you are able to integrate pCloud, Dropbox, Google Drive, OneDrive, OneDrive for Business, Box and Egnyte via the exact same API. So, for example, the function download() works exactly the same for pCloud as it does for Dropbox and all the others. pCloud is available in all our SDKs including Android, iOS (Swift, Objective-C), Java, Node.js, Xamarin and many more. pCloud is an alternative to well-known cloud storage providers like Dropbox or Google Drive. The company, which is based in Switzerland, was founded in 2013 and aims to be an easy-to-use cloud storage solution for individuals as well as professional users. It offers all features you know from the big US providers but comes with some neat functions like file encryption. So for users based in Europe, not only the Swiss headquarter is a good argument to switch, but also the full file encryption should give you some additional peace of mind in terms of data privacy. pCloud has around 6 million active users and you get 20GB space for free. As of today, you can access the pCloud API via CloudRail in exactly the same way you already know from your previous cloud storage integrations. Technically all you need to do is add a single line of code to the initialization part of the cloud storage interface. Due to the universal API, all functions work exactly the same for pCloud as well as all other providers. Learn more about the pCloud API here and download SDKs for: Android, Objective-C, Swift, Java, Node.js, Xamarin.iOS, Xamarain.Android. Why Integrate pCloud via CloudRail? pCloud and CloudRail recently partnered to give you a very easy way to connect to pCloud out of your application. Only with CloudRail, you are able to use the exact same API for pCloud and all other cloud storage providers like Dropbox or OneDrive. Moreover, CloudRail keeps your integrations up-to-date. So if pCloud ever changes their API, we do the hard work and keep the interface towards your app consistent. CloudRail is not an additional single point of failure since all data flows directly between the CloudRail SDK and for example pCloud. More than 60 million users rely on CloudRail integrations every day, join us now. Create a free CloudRail account and download the pCloud SDK.